I'm sure we are not new to rooting phone. If you have an Android phone and you haven't still rooted the device, sir/ma, you are not the boss of that smartphone cos rooting your phone gives you the full control of that Android smartphone and equally makes you the boss of that smartphone. Some people might still be finding it difficult to root their Android phone, mostly the Marshmallow users. Today, i will want you to try out Kingroot v4.9.3 which is the latest version of Kingroot that roots stubborn Android phones. HOW CAN I USE KINGROOT TO ROOT MY ANDROID PHONE? After you must have installed the Kingroot app on your Android phone, kindly open the app and wait for it to analyze your phone until you see the main page. Now, tap on the Big Blue Circle you see that says Root and wait for it to do it work. (make sure you have a good internet connection). Kindly wait for the operation to complete 100% after which, King User app will be installed on your device. And when it does, tap root and wait for the operation to complete. HOW CAN I CONFIRM IF THE DEVICE HAS BEEN ROOTED? That's all. 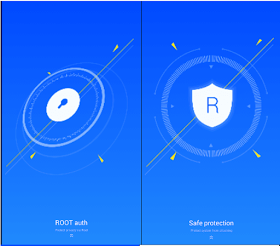 Kindly Comment below if this version of Kingroot rooted your device and please indicate the device model. Don't forget to share this post using the share button below and also download our Entclass Blog Android app on Google Playstore. It's safe bro. No need for fears. Mr Vic...wld it also root an infinix x507 fine ? prolly? What version is the device? Marshamallow or lollipop? Morning, pls what does root or rooting your phone has the case may be actually means? What's the benefits to android users? Rooting your phone will give you full access to your smartphone. Cos there are apps u will want to download, but if you don't have Root access to your phone, that app will be useless. Thanks 4ur prompt response bt can it damage/cause ones phone 2crash? One of my phone is Infinix NOTE2. Make sure you have A good internet connection when it is rooting your phone Or else it will stop before getting to 100%.